Crew and passengers were in celebratory mood as Astor arrived in Fremantle for another summer of cruising Down Under. Santa arrived in a dinghy, and when he asked one little girl what she’d like for Christmas, she said a “buffet”. She was in the right place last weekend. Cruise ship Astor’s Ubersee Club Bistro has a buffet breakfast, lunch and dinner, not to mention its morning coffee and afternoon tea. For white tablecloths and an a la carte menu, the ship has the Waldorf Restaurant. For drinks, the Captain’s Club, visited at various times by the ship’s musicians, the Poolside Bar, or the Hanse Bar up on the top deck under a star-studded sky. 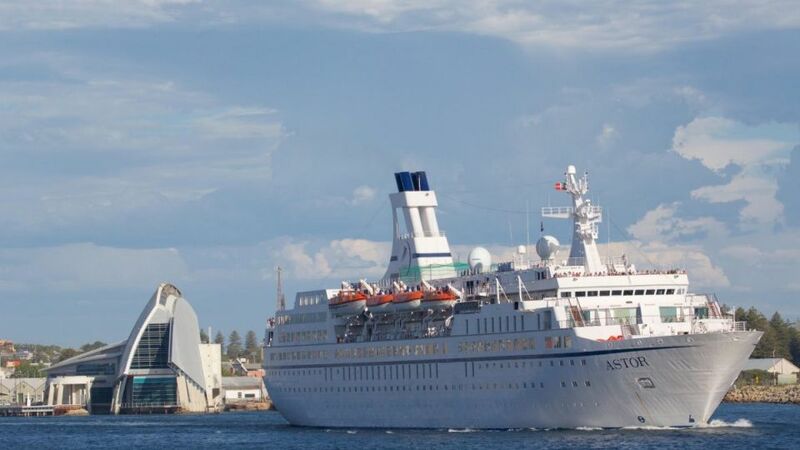 The ship, which comfortably accommodates 550 people in 289 staterooms across 15 categories, calls Fremantle home until leaving for Adelaide on February 12, then returning to pick up passengers for the 39-day voyage from Fremantle to Tilbury, London, departing on March 12. It has many short voyages to choose from, particularly to the South West of WA, and longer cruises to Bali. But last weekend’s cruise was different, as the ship had been chartered by Bicton Travel, which has three times been voted Australia’s top travel agency and six times been named the country’s cruise agency of the year. It was one big, seasonal celebration by a family-owned company founded by Carole Smethurst and her son Phil, just embarking on its 20th anniversary year, having grown from the original two consultants to 26. And there were plenty of families on board — parents sharing the couple of nights on board with their adult children; three generations, from grandparents to grandchildren. There were couples, couples with couples and “girls’ weekend away” groups. It all made for a happy atmosphere. In the theatre-style Astor Lounge, there were presentations and talks, a travel quiz (congrats to the teams that got Lesotho as an answer), Christmas dinner and, of course, Santa arriving in that dinghy. There was barely time for a treatment, sauna or massage in Astor’s Wellness Centre, for half-court tennis, basketball or big-board chess, or (in keeping with the ship’s vintage) a walk around the traditional promenade deck, following its rather elegant signs — a man in a hat and woman with a parasol. But there was plenty of time for what we all wanted for Christmas — a smorgasbord of fun, family entertainment and camaraderie. Christmas came early last weekend on Astor. Smaller, vintage ships, “buy one get one free” incentives, 150 cabins for solo travellers and a firm footing in WA. Chris Coates, who heads up global sales from Cruise and Maritime Voyages’ UK head office, is proud that this is Astor’s fifth season in Fremantle. “The season this year has been very well booked,” he says during his visit from the UK. And then he uses a rather interesting word … vintage. As the cruise industry continues to develop and mature, the number of cruisers increases and ships get mega, there is also a renewed demand for smaller and characterful ships. CMV has five ships, with extensive itineraries in Europe. The fleet includes Marco Polo which, Chris rather proudly confides, still has its original, 53-year-old engines. “So we do specialise in these vintage ships.” Combined, they carry 130,000 passengers a year. CMV, which this week closed its Sydney office to consolidate its base in Adelaide, is opening an office in Mexico to open up more sales in the Americas. CMV UK has 150 cabins dedicated for solo travellers, with solo fares. There are still opportunities to sail on Astor this summer. Fares are per person but the fares for Fremantle in Port Celebration and Memorial Cruise to Albany are “buy one, get one free” — so, the fare here basically covers two people. The second travels free. All fares include port charges and fees and are valid to December 31. The cheapest option is what CMV codes “GTY”. It means you pay for a category — a cabin type — but don’t choose the actual cabin number. CMV berths passengers at the “ship’s option”. But, of course, you will get an interior or ocean view cabin. All prices quoted here are GTY — the lowest “from” price. The Memorial Cruise to Albany departs on January 21 and is four nights (A811). An interior cabin is from $929, exterior $1119 and both are subject to the “buy one, get one free” offer. Weekend Celebration, departing February 2 for three nights (A814) is from $419 per person, ocean view (interior cabins are sold out). South West Adventure, departing February 5 for five nights (A815) is from $469 per person for an interior cabin and from $559 for ocean view. Weekend Escape, departing February 10 for two nights (A816) is from $199 per person for an interior cabin and from $239 for ocean view. Cruise the Bight for five nights from Fremantle to Adelaide, departing February 12 (A817) is from $439 per person for an interior cabin, $519 for an ocean view, which does not include travel home. After time cruising from Adelaide, Astor embarks on a 39-day voyage from Fremantle to Tilbury, London, departing on March 12. The first, a 17-day leg to Cape Town, can be booked separately. CMV has just released the 2018-2019 season with some “buy one, get one free” fares. 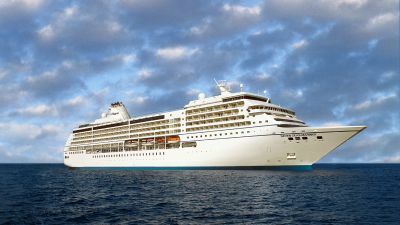 Visit cmvaustralia.com for more details on Astor and CMV’s other ships and itineraries, and contact travel agents for bookings. Bicton Travel is located at Bicton Central, 258 Canning Highway, Bicton. Phone 9339 0277 or see bictontravel.com.au. Stephen Scourfield was a guest speaker for Bicton travel.